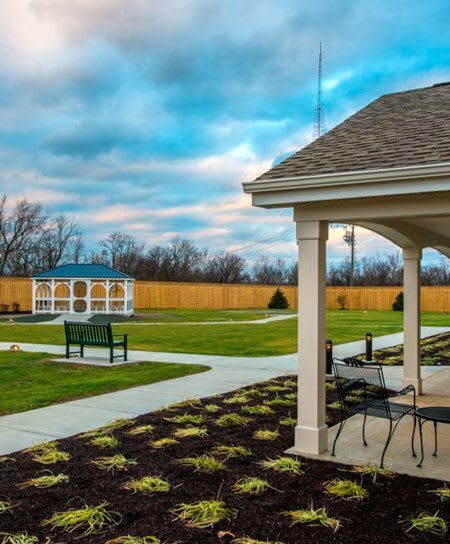 Artis Senior Living of Lakeview features six distinct neighborhoods for memory care and four neighborhoods for assisted living, each with a dining room, kitchen, community spaces, outdoor walking paths, and gardens. The dining program is led by chefs and inspired by a Mediterranean diet to serve three nutritious and flavorful meals a day. Our memory care studio, one bathroom suites offer residents privacy and the opportunity to surround themselves with their personal furniture and belongings. If you or a loved one is enrolled in our assisted living program, we offer you the freedom to choose from studio, one, and two bedroom suites. We invite you to bring your own furniture and decorate as you please. Each memory care suite has room for a full-size bed, bedside table, dresser or wardrobe, lamp, comfortable sitting chair, and decorations. While it is beneficial to furnish suites with personal, familiar items, we are also happy to provide furniture as needed. Each memory care suite also has a memory display case at the front door, with space for residents to showcase photographs and mementos and to introduce themselves to the neighborhood. We welcome any opportunity for assisted living and memory care residents to personalize their suite to their liking. Call us today for a personalized tour of our private suites, neighborhoods, and town center. We look forward to seeing you soon.